Researchers at Winship Cancer Institute have been awarded a grant from the National Cancer Institute that will fund an evidence-based, tobacco-use treatment program for Winship patients. Researchers at Winship Cancer Institute have been awarded supplemental funding to the Winship Cancer Center Support Grant from the National Cancer Institute Cancer Center's Branch that will fund an evidence-based, tobacco-use treatment program for Winship patients. Cancer accounts for 22 percent of deaths in Georgia, with an estimated 30 percent of those cancer deaths caused by tobacco use. Winship's tobacco-use treatment program addresses Georgia's high rate of tobacco use and the need for a sustainable, multi-modality treatment approach for patients with varying levels of resources. The research team is led by Winship Associate Director for Population Sciences Carla Berg, PhD, MBA, LP, and co-led by Winship radiation oncologist Kristin Higgins, MD. Winship's tobacco-use treatment program will draw upon established patient-centered models and national guidelines as well as foundational studies that looked at tobacco use in the Winship patient population. Berg conducted a 2010 study that evaluated tobacco use among Winship patients, assessing their interest in quitting and preferred treatment modalities. 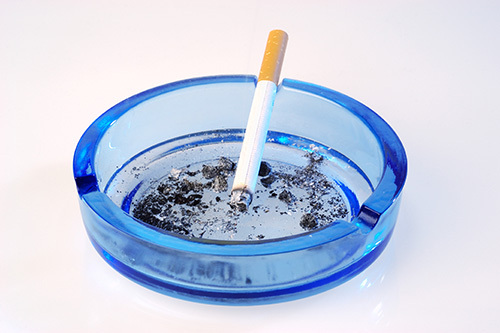 Higgins piloted a 2015 cessation program for Winship patients with aerodigestive malignancies, 32 percent of whom reported past-month tobacco use during their initial assessment. The program will deliver patient-centered cessation interventions supported by an enhanced technological infrastructure and custom registry built by the Winship Research Informatics Shared Resource. Understanding the diverse needs and preferences of patients, the team will engage various existing resources and develop processes for referring patients as well as tracking resource use and patient progress. The research team would like as many people as possible to benefit from Winship's tobacco treatment program, and plans to expand the program to Winship satellite sites and to social networks of Winship patients. Other members of the research team include co-investigators Rebecca Klisovic, MD, Madhu Behera, PhD, Cam Escoffery, PhD, MPH, and David Howard, PhD; and program associate April Hermstad. The research is supported by the National Cancer Institute of the National Institutes of Health under award number P30CA138292.